Is anyone able to translate the statistics on this page from German to English? Google translate is only partly successful here, and there may be subtelties that are not fully conveyed. *1 'Kuppelachsen' appear to be the axles that are coupled by a connecting rod (dt. Pleuelstange). *2 I've never heard S. O. K, it might be a specialised engineering term, I shouldn't be terribly surprised were it ... Oberkante upper edge. *3This one is difficult, as the word 'lichte' is used in a sense that would work with diameter or width, but not such a long lenght. @Taurus, is S O K Schienen Oberkante? "[Die] Lokomotive [...] des Herzogs von Suntherland [...] mag [...] fuer Sportsfahrten ihres Besitzers entsprechend ausgeruestet sein, worauf schon die grosse Laenge des Fuerherhauses schliessen laesst." "The locomotive of the duke of Sutherland may have been equipped for sporting tours, which the great lenght of the footplate allows to surmise." 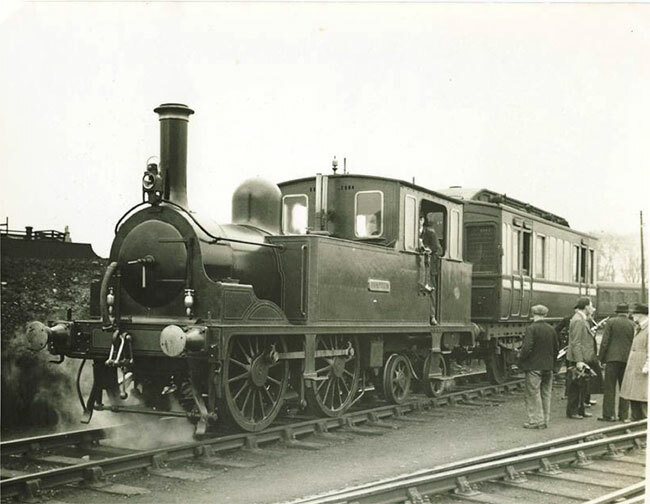 It must have been fantastic to be posh in late 19 century England, having your own locomotive. Just for (di)sport! unfortunately he died in late 1893 before his locomotive was delivered in 1895. Splendid, thank you all. I have edited the Wikipedia article to add the relevant information.